I've been lucky to have been on several trips this year, on twisty roads, and on a race track, and on mountain trails, with 3 different bikes, KTM 690R 990SMT 990ADV. 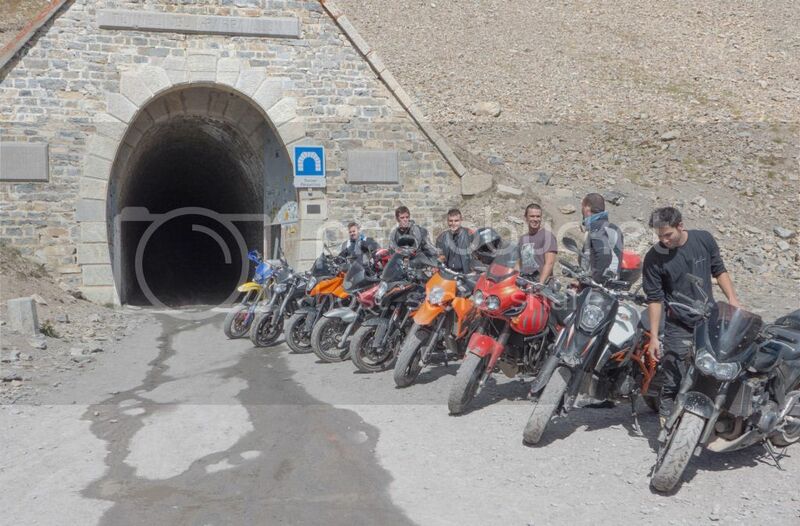 I've travelled with some great guys I've met on 3 forums (KTM Mania, Terre & Bitume, Moto Trail Provence). I've now sold the 690R, and will be riding longer distances with camping gear whenever possible. There's a lot of country to discover out there, and with a GPS and the right attitude it can be a lot of fun. With the winter months coming rapidly, it's nice to look back at the highlights of the 2013 motorbike season. 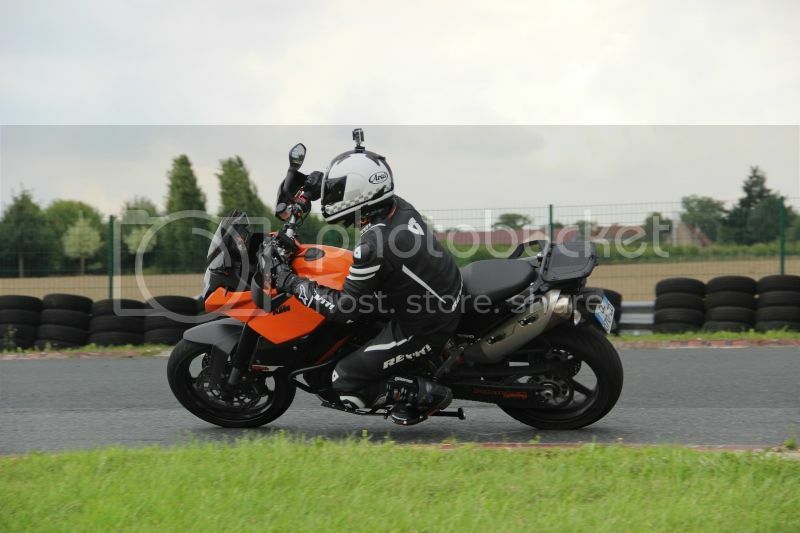 I have been very happy with my two KTM bikes. 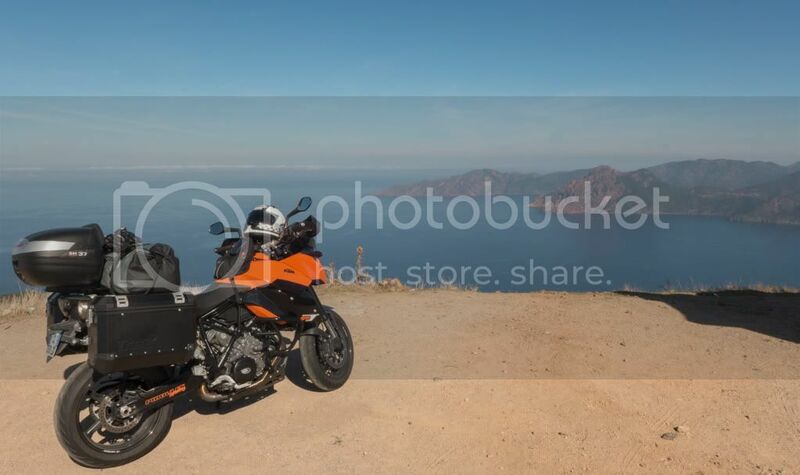 The 990SMT is a fun and powerful road trip machine, and I was in Corsica for 5 days and found some great scenery and challenging roads, and met with other bikers from around Europe. The 690R is an all-terrain go-anywhere discovery machine, and I toured in the lake and mountain areas in the southern Alps, and camped in the wild with some friends recently. Following the crash and hospital in December, and after several months of recovery, I am now back on the bikes. 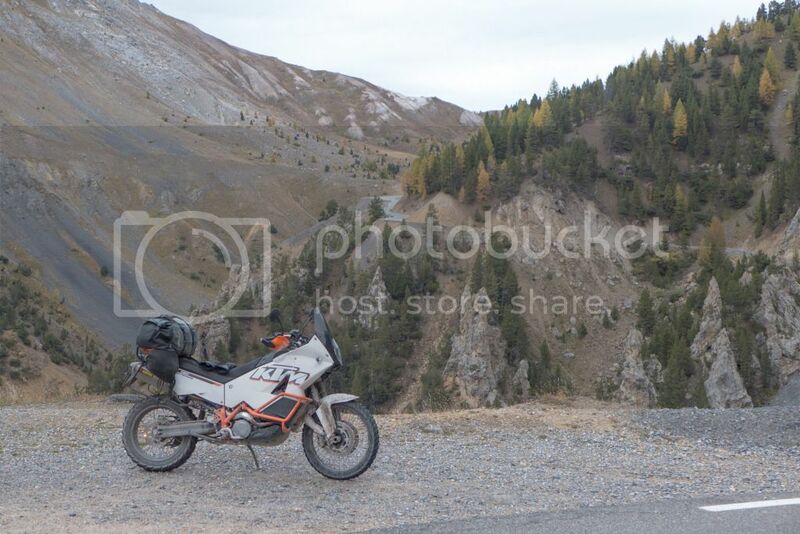 I started on the road motorbike (KTM 990 SMT), then on a mountain bike some weeks later (Cannondale), and even a short off-road trip last week (KTM 690 Enduro R). There's nothing like the feeling of freedom from being on 2 wheels, riding with nothing but the trail ahead to worry about. I bought a GoPro 3 Black to capture some travels, and here's the first simple video (and I will need to put more effort into these videos!). I've got some trips planned in the coming months, with friends in a national park area, and to Corsica on a discovery trip. I just switched from semi-pro Nikon D300 (with grip MB-D10 and 17-55f2.8 and 70-200f2.8 and SB900) to Panasonic GH3 (with 12-35f2.8 and 360L and MS2) by trade-in with little extra cash. For context, I have owned nikon and canon film SLRs, and switched to nikon DSLRs ~10y ago with d2h then d70 then d300. I also went through many nikon compacts and switched to panasonic LX5 then LX7 now. For videos I also have owned the panasonic DVX-100B and now the HMC-151E with audio-technica stereo gun mic. I am an amateur and never shoot for money. I have been watching the micro 4/3 evolution for some years, but could not make the decision until my frustration with my gear increased (I cannot easily carry all that stuff everywhere), and until I could find a better solution. So, considering that the Nikon mirror-flip live-view concept and video capability is quite poor, and the LX7 has great video with AVCHD-P, and now the GH3 is "DSLR-like", it was time to switch. The handling and controls are immediately familiar, with some nice shortcut menu and numerous customizable buttons. It has the right balance of being small and light and comfortable to hold with a long lens and flash or mic. It feels robust and ready to follow me everywhere. The photos are good, and the aspect ratio control is a nice benefit, having a choice to compose at 4:3 or 3:2 is very useful (it's amazing that we have been trained to accept only 3:2, I feel liberated again with my DSLR as I have been with my LX5/7). I often shoot with low available light, and the high ISO performance in shots (I only shoot RAW) is similar to previous experience, at least 2 f-stops better than LX7 but I regularly need some noise reduction in lightroom. The GH3 DOF is understandably more than the D300 due to the sensor size, but I was often finding myself missing some DOF on D300 photos because I often shoot wide open, so the GH3 DOF is OK (and I have a couple of photos already with insufficient DOF from GH3 at f2.8). The rear-screen is beautiful, but the EVF is dissapointing, it is nowhere near as good as a true optical viewfinder, I can't see a reason to use it yet. 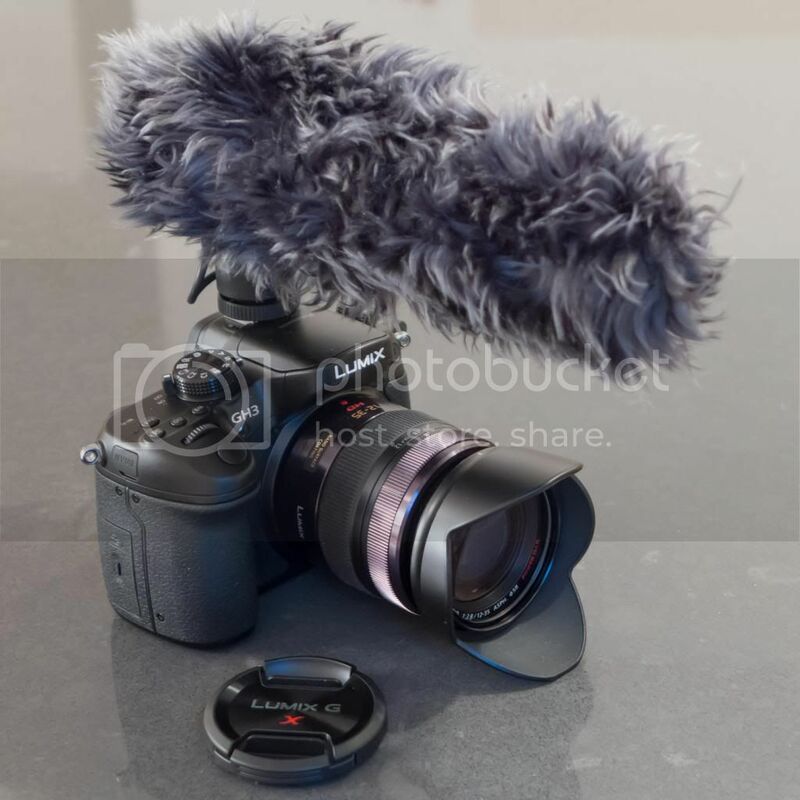 If panasonic releases a GX2 (no EVF) with the GH3 specs (esp mic input) and a decent grip, it would be my choice. The benefit of rear-screen or EVF over optical viewfinder is especially clear in low light, and the rear-screen removes the obstacle that the camera is between photographer and subject, especially with the articulated rear-screen. The 12-35f2.8 is great, very sharp at all settings, fast focus and solid and small, some slight vignetting at f2.8 which disappears by f4 (as expected from online tests) and is easily corrected in lightroom. I dont trust image stabilization but I leave it on (for now...), there is no option to set auto-iso to 1/125, it seems to default to 1/60 which is too slow for moving subjects, so manual control is required. The video is awesome, AVCHD-P at 60fps is great, the controls are somewhat restricted compared to my HMC-151 (no ND filters, difficult aperture controls, cumbersome shutter speed control and mic-levels and iso controls, no focus assist, etc) but the image quality and fluidity of 60p (vs 25/30p of AVCHD) is amazing. However, it not a replacement for dedicated video work so I am not ready to sell the HMC-151. Perhaps Panasonic can give better video controls with a firmware upgrade, such as exposure compensation or shutter/aperture controls during video shooting in A/S/P modes. The GH3+12-35 is matched to my LX7, the videos are similar high quality, the photos at low light are similar considering the 2 f-stop advantage of the LX7, and the controls are close-enough to feel like the same family. A great pair imho, with the obvious advantages of the GH3 when travelling with more gear. The MS2 mic is exactly as expected, and a big improvement over the in-built mic. It is perhaps THE reason to choose the GH3 over any of the other existing lumix. The 360L flash is OK, it is small and has all the desired functionality, and the LED light is very useful for video, but the mount lock is not as solid as on a nikon. I am surprised by the cost of the lenses, I want the 35-200f2.8 and 7-14f4 but they seem overpriced (I know, that's where panasonic makes money...), the other nice lens is the 25f1.4 but also overpriced. I cant accept f4-5.6 telephoto lenses for the low-light photos/videos I do. I also need another battery (which is a good sign, because I am using the GH3 much more than the D300), it is overpriced too, and I probably will put it in the add-on grip for extra one-handed comfort. In conclusion, for others in a similar situation with amateur photo+video needs and a reasonable budget, the GH3 is a great choice. It was a cold sunday afternoon, I was riding on a well known trail but some sections were covered in ice that I did not see. The skid was uncontrollable, and I was ejected and skidded on ice for 10m. Immediately the pain was everywhere, but thanks to the best protection gear money can buy (even a neckbrace) only one pain point remained, my forearm in an odd shape. The surgery is finished, multiple fractures of the radius bone close to the left wrist, I was awake for the operation and heard drilling and metal twisting, but apparently all is ok, some internal bleeding and pain killers, I spent 4 days in hospital. 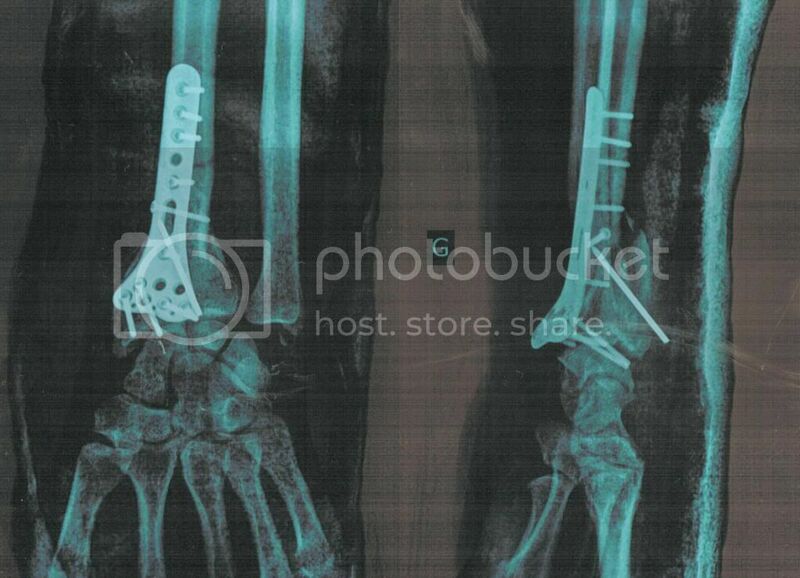 After 4 weeks the result can be seen in the photo below, quite an impressive and scary work with a metal plate and screws. More fun in the next weeks to heal and remove some of this. I'll be storing the bikes in winters now, better to play safe. I'll have more time to work, great! Trop fun, Real Racing 2 HD !!! C ' est super, ce jeu vidéo de courses de voiture ! Moi, j'suis déjà à grand finale ! Sans compter ma fortune qui n'en finit pas de s'agrandir ! J'aurais bientôt 200,000 en réputation et 2,000,000 $ ( J'serais alors HYPER riche ( $$$ ) ! ) !! Moi, quand j'suis énervé, j'cause d'énormes carambolages ( Bon , ok , PARFOIS , c'est les autres qui m'en font faire ! ) ( Mais ça m'empêche pas d'être un virtuose, j'vous conseille donc pas une partie avec moi ( Même si on choisit pas nos rivaux ... ! ) ! ) J'connais un vrai PRO , L . TIM , j'aimerais bien l'rencontrer (Même si il a envoyé ma bagnole en l'air et fait exploser ma carrosserie dans une seule et même course .! ) ( WOUAH le mec !! ) . Riding a motorbike is a kind of addiction, the feeling of freedom with the rush of adrenalin is enough to keep me coming back to it every week. 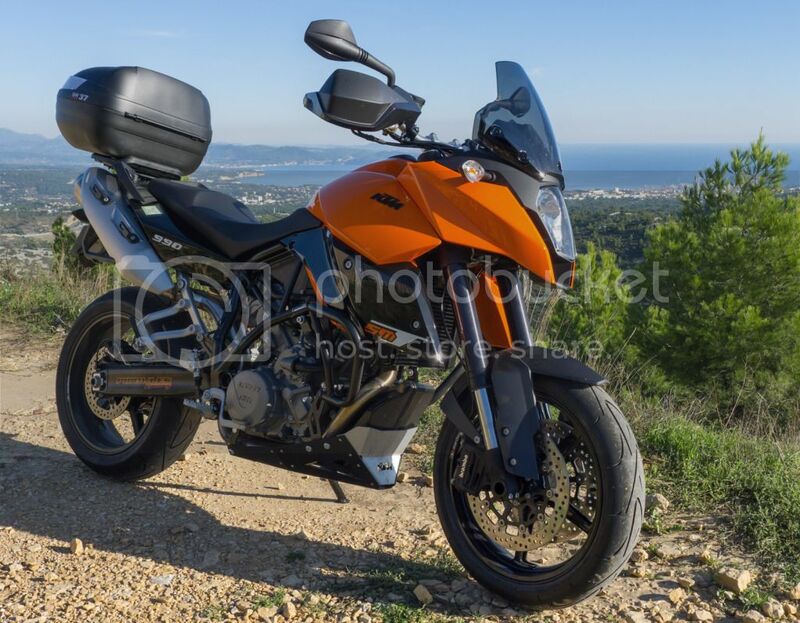 I was looking for more power and comfort to cruise the area and do some sightseeing, and the KTM 990 SMT was a natural choice as a complement to the 690 Enduro R. Great machine, and already in the last weeks some great half-day trips in the region. I'll still be riding the Enduro for hard-core fun, but the SMT is pure pleasure. 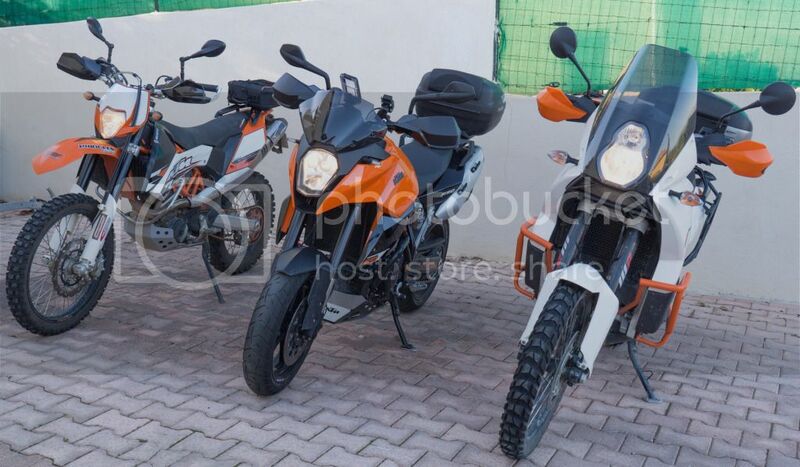 After just 3 months into off-road enduro riding on a 125cc (see previous post), I started looking for a more powerful bike, for on- and off- road use. Many companies claim their "trail" bikes are for such multi-purpose usage, but they make design and manufacturing decisions to reduce cost and produce bikes which are attractively priced but technically unable to meet the demands of off-road usage. 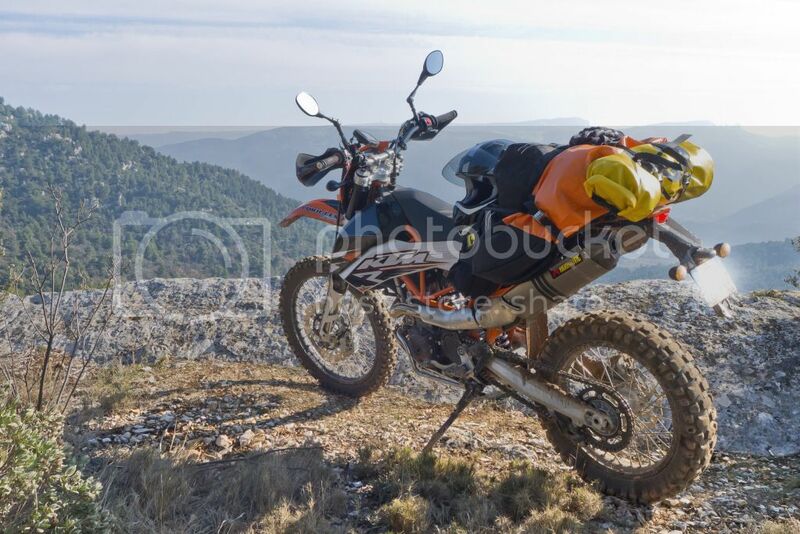 I finally decided on a true enduro bike adapted for road usage, the KTM 690 Enduro R, with the famous orange frame and the R for Ready to Race. 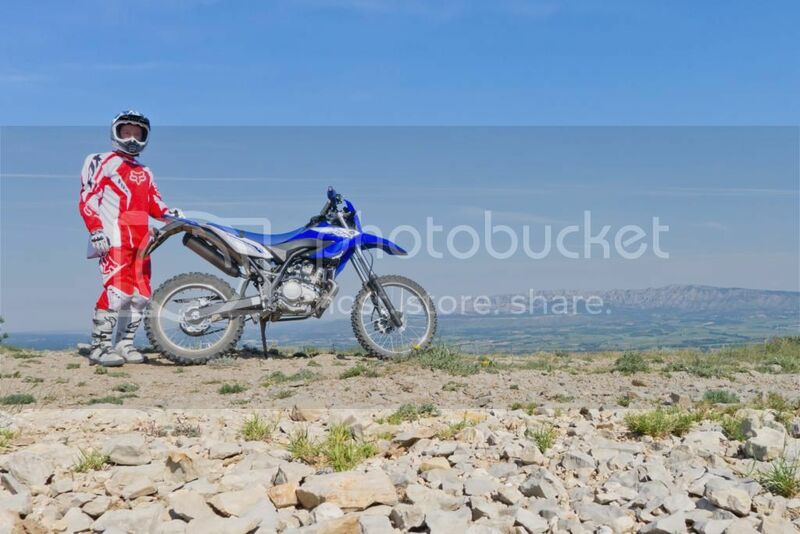 It's a bike that has been used in countless rally races like Dakar and Baja, and which can be adapted for road racing as a Super Motocross with minor changes. Difficult to find in stock anywhere, I ordered it quickly, then went looking for a fast program to get a motorbike driver license. With the French vacation period and well-known bureaucracy, it took 3 months to get the green light even with 1st time success at each step (and another month to get the official license), but I was then finally able to climb on this super bike and test my limits. It is usual for engineers in a business environment to have a large number of tasks assigned by higher management, all running in parallel and with apparently equal high priority. Other than re-assigning those tasks to colleagues, the challenge and key to accomplishment is work efficiency. Increasing one's efficiency requires to work on the task only when the ideas are clear on how to achieve it to a satisfactory level, and work on other tasks until that time. That often means delaying the start of an activity beyond others' preference, which is fine as long as a satisfactory completion is achieved within the time constraints. This is really about managing one's own schedule, and not letting higher management intervene. 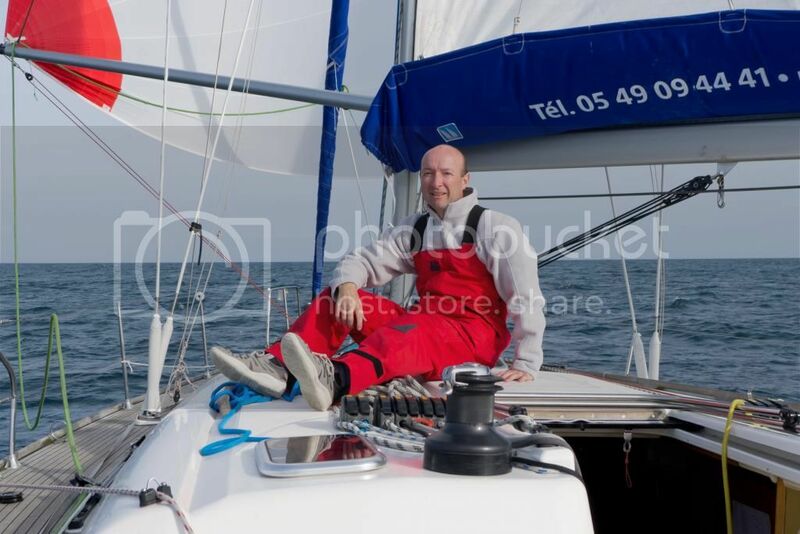 I have just returned from another great week sailing, for the first time on the Atlantic coast of France, for a captain's certification with MCV sailing school. I learnt all about tide and sea current drift calculations, and we cruised almost 40nm daily with different spinnakers and sails on a 45" performance Dufour yacht. That coastline has tides well over 6m, and ports that dry up at low tide, leaving boats stranded, quite impressive for a newcomer. We spent days going over solo maneuvers and man-over-board and other risks and solutions. There's now nothing to prevent me from taking a boat with the family or solo anywhere, which opens up some interesting possibilities for the next trips. I decided a few weeks ago to take on a new sport challenge. 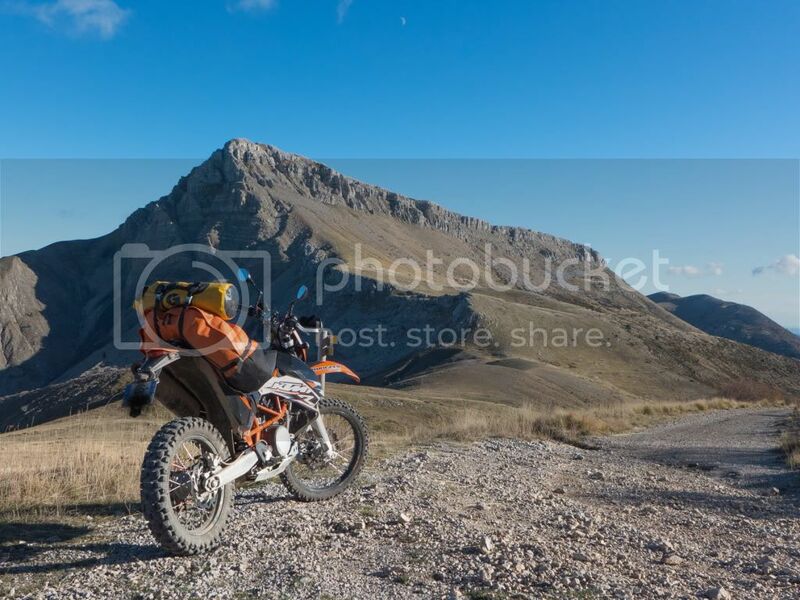 After considering kite surfing, as an alternative to windsurfing which I already know, I decided instead on enduro motor-biking, an all terrain powered alternative to mountain biking. The immense hills and forests in my home area would make a perfect playground for an enduro bike, and the motor would allow me to go so much further with less fatigue than my mountain bike. The driving laws in France allow all car license holders to drive a motor-bike of up to 125cc and 15hp, so there are dozens of choices in this category for the French. A short obligatory 7hr motor-bike course later, I settled on the Yamaha WR125R Enduro and received it this weekend. On the highway, it barely manages to get up to 120kmh, but off-road it's a real pleasure. Dressed in all the body armor money can buy, looking a little like an astronaut, I carved up and down the hills, across mud holes and rocky terrain, and had huge fun in almost 3hrs that felt like 1hr. Not unlike mountain biking, I was sometimes standing to avoid get jolted around, and I occasionally had to use my feet to avoid a sidewards slide. With >10x the weight of a mountain bike, turning around in tight dead-ends was a challenge, but getting up steep hills with small rocks was very easy. There's plenty more to tell, but I'll tempt the reader to discover the joys and pains on their own! In my work I often deal with, or I help others deal with, significant volumes of data, with the goal of identifying trends or correlations or to validate a hypothesis. Too often, there is a tendency to let the automated software find a result, and then trust that result as a mathematical fact and the solution to the problem, which is neither well defined nor sufficiently bounded. In the wrong hands, sophisticated analysis tools lead to the wrong conclusions. It's like teaching a kid how to use a calculator before teaching the 4 basic math operations. Or teaching a teenager the formula for standard deviation without explaining the principles behind a normal distribution. When a computer produces a result that the human driving that computer, as the owner of the data, does not fully understand, the result is probably junk for the problem the human is trying to solve. The corollary is that the correct result should be understood by the human that owns the data and posed the problem to be solved by the computer. Fundamental stuff worth remembering. After a brief summer vacation, the stress caused by external expectations at work is a little more difficult to handle. We've all been through periods of intense external pressure at work, and despite efforts to deliver according to expectations, the results are not entirely satisfactory for the recipients. A recent difficulty involves a parser for an industry standard format, where the objective is to enable a key differentiator in our commercial product. The parser meets the requirements of most users, but fails to satisfy those who planned to extend the use cases beyond the original product intentions. Another situation concerns customization of the product, using the built-in tools to provide the automation for special use cases, creating an application with high added value. The initial requirements are met, but users always desire new functionality as their experience grows and they face new challenges. - Set and agree on the correct expectations early in the project, and remind everyone of this agreement as often as needed. - Create the appropriate environment and business model to cope with an increased specification or list of deliverables. Creating a win-win scenario between the user or buyer, and the supplier, requires both of the above conditions, and will avoid frustrations on both sides as is typically seen with complex projects. The difficulty in implementing such a situation often comes from the involvement of multiple persons, with individual goals, and the end result is a loop that is not closed. Enough procrastination, time for action! After years of using different Nokia (phones), and Blackberry, I started using an iPhone 6 months ago, and an iPad since it was released. I still keep all 4, with 3G cards in each, because each has its area of optimal usage. The Blackberry is the best for quickly responding to or forwarding emails where more than a dozen words are required, or while driving or in public transport. Nothing beats it for speed and ease of use. But as an internet terminal or otherwise personal device, it is terrible. The Nokia is the best phone, and 3G modem for a laptop. No smartphone comes close to the sound quality and network connectivity of the Nokia. The iPhone is a pocket portable internet terminal and can run a huge range of useful applications. The iPad is a backpack portable iPhone with a large screen and without regular phone functionality (though Skype works well) nor a camera. Does the iPhone make the iPad irrelevant? No, very much complementary. I work (and read and play) constantly on the iPad, and I keep the same content in my pocket for quick access anytime. By selecting apps which are identical on both platforms, I have the advantage of a comfortable tablet and the pocket portability of a smartphone. Everything I was doing with the iPhone is now much easier with the iPad. If I had to choose fewer devices, it would be the iPad, with a Nokia phone, and optionally a blackberry and/or an iPhone. The laptop and home computer have been resting much more since the iPad arrived, and that is a trend that will continue as tablets become more generally available. This post is way off topic for my blog, but perhaps it will be useful to some others with such questions. All new software projects go through a phase where performance, defined as the number of tasks and the volume of data handled, divided by the time required to achieve the desired result, is much less than originally planned. When this performance shortfall impacts overall project success, solutions must be found, and it's not always easy to retrofit them. A common software programming approach is to build complex multi-purpose objects, and give those objects many properties and methods. This leads to significant overhead, creating performance issues when dealing with huge data sources and/or situations where the methods are too generic and not optimized. A complementary approach is to create numerous reusable building blocks, each with limited functionality, and then sequence many of these together to create an application, commonly known as a workflow. This leads to significant inter-process data transfer, which is typically limited to one way transfers. There is significant overhead associated with managing each block, and performance decreases significantly as the workflow becomes more complex with a large number of blocks. The data structures used can also represent a significant usability and/or performance constraint, such as choosing flat data representations when hierarchy exists, or sequentially accessed data files when random access is required, or when data compression schemes interfere with optimal data access (such as column compression when row access is required from tables). The highest performance can only be achieved with software that enables the use case in the most direct way, with the least number of unused options and the smallest number of building blocks. In complex environments, this can lead to a large number of use case specific software, and a balance has to be found with other techniques. My advice is to carefully align the software approach with the expected use cases, and to accept fundamental changes to correct early wrong assumptions, instead of implementing workarounds which inevitably lead to less performance. And when ultimate performance is required, specific development can circumvent existing methods and objects to "get the job done fast". There are some ideas in life that summarize the approach we each have in everyday situations. For work, where we provide software to analyze and solve complex industrial problems, my approach is: simple, reusable and adaptable. Simple: this leads to the fastest solution, least time spent on specification, and less rework when the requirements change. Reusable: software solutions are assemblies of individual building blocks, and with reusable blocks new solutions can be competed faster. Adaptable: the details of the requirement are never fully understood until the solution is in use in real situations, so it is essential to adapt deliverables in the field to achieve success. More than a philosophy, these concepts are part of my daily activity. In a dark room, driven by an expert "professor of ophthalmologie", the 3 ton monster came down on my eye, and activated a vacuum hold. The electronic words "suction activated" triggered the laser which would cut a round hole in my cornea, to expose the innards of my eye for later. The suction was then deactivated, and the procedure was repeated for the other eye. The nurses then rotated the bed, and the fun started again with another 3 ton monster. This time, the laser created a smell of burning flesh, unfortunately mine, bringing doubts about my decision to go through this operation. Seconds later, it was time to close the cornea again, the expert used a soft spatula to press and smoothen the eye surface with a heavy motion that seemed to take forever because of the pain. And the start again with the other eye. After a sleepless night with painkillers and a towel to wipe the tears, the morning light brought the first confirmation of why I had gone through this: I no longer needed glasses to see my world clearly! The post-operation check next day proved my vision was good, although blurry from the interface which had not healed yet. Others had not been so lucky, even one lady with a cornea that had become unstuck needed to return to the monster room. A couple of days later, I can relax and enjoy my new clear vision, with a sensitivity to bright lights that is becoming normal again. Would I recommend this operation? No, the decision is entirely yours, mine is done and I am happy it's now history. There is a school of thought that believes the software world would be better served if run as a free open source market, where collectively the masses of bright engineers would develop advanced tools superior to the products from software giants. Free is incompatible with the basic human need to "eat, drink and be merry". I will explain my view as "Collaborative Capitalism" (CC). CC is the process of development of advanced specialized products by many distinct groups of individuals with a common goal and capitalist motivation, leading to a series of acquisitions by larger groups with a broader product strategy, thus fulfilling capitalist objectives. CC is a realistic representation of the software industry, and a more efficient model than free open source. CC is the reason the software industry is strong as it is today, and the model which will continue to dominate at least for the short and mid term future. a). Acquired technology is often locked by the acquirer, thus preventing others from benefitting or from completing their own projects. This is perhaps the greatest argument for free open sorce. b). Technology which is believed to never lead to capitalist goals is never developed. The problem is especially important if the author(s) of such technology are wrong in their valuation of their abandoned ideas. CC is at the heart of the most successful software companies today. A week on this boat in perfect conditions, finishing with a 4hr race to home port against a larger boat with a crew, was very enjoyable. 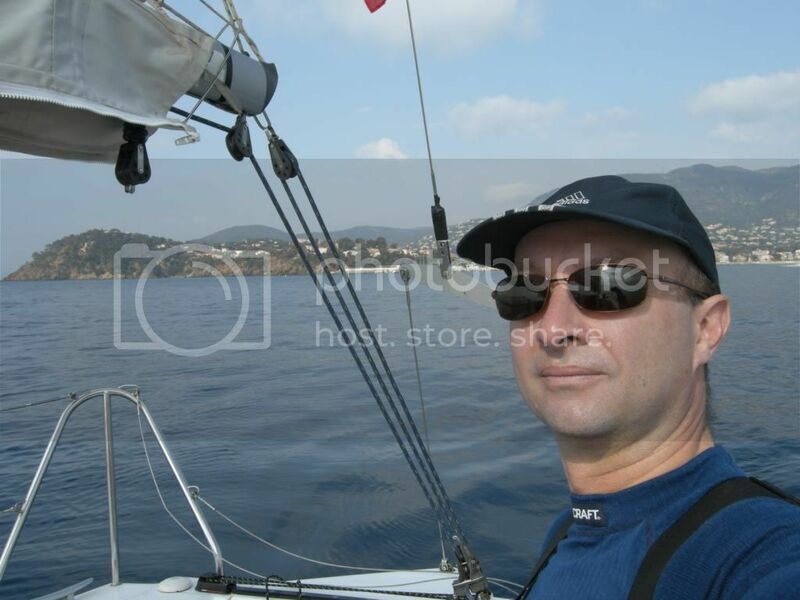 Several times around the islands, up and down the coast from Bandol to Cap Camarat, plus some speed cruising at 40+ degrees inclination in force 5 on still water, and some snorkeling. 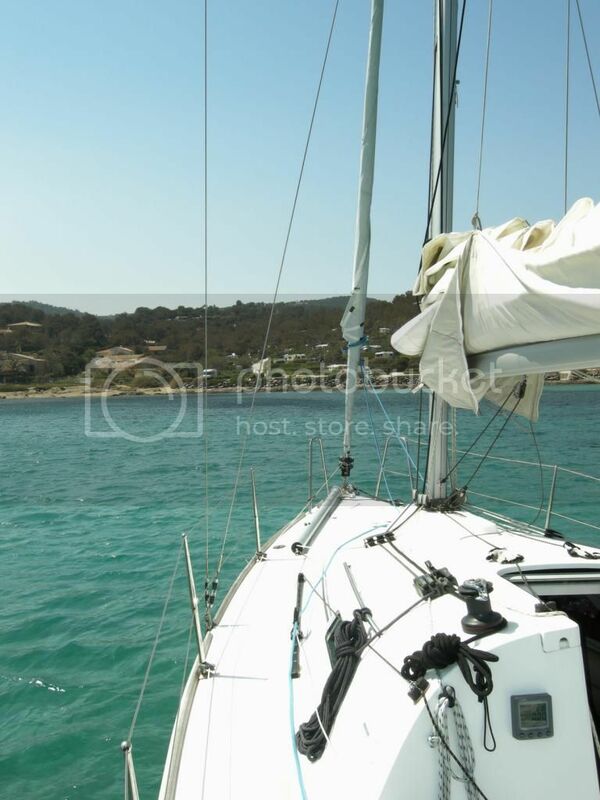 Life on the boat is ok, but a little more comfort, and more speed, would be great... Difficult requirement without significant cash onhand! I'll be doing this again soon, with the family in summer, and solo when possible again. The weeks of preparation were worth the effort. Day 1 was a smooth start, starting in a t-shirt and shorts on a calm morning, and finished with 3 layers of specialized sailing cold weather gear, with a force 3 southerly breeze. Some great sailing around the islands on day 2, at 9 knots with force 5 westerly breeze. I learnt the joys of performing some complex manouvers solo, even with careful planning it's not often perfect. There are very few boats in the area in Spring, it's quiet and relaxing, but cold (I placed 1 sleeping bag inside the other, and it's barely warm enough).